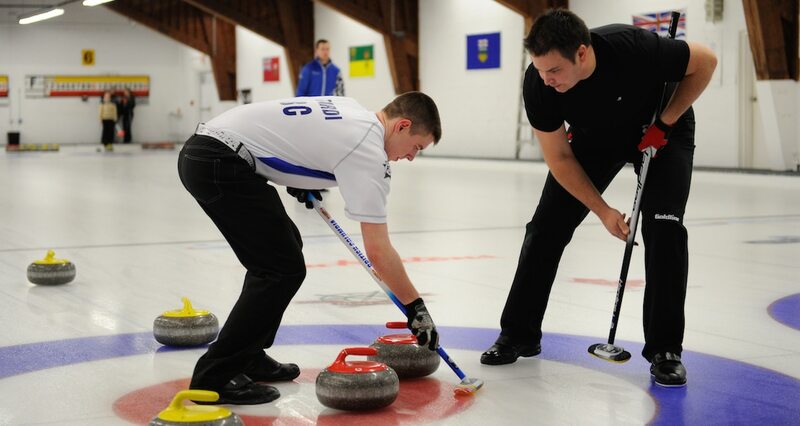 They may be the youngest team in the competition, but British Columbia teenagers Tyler Tardi and Dezaray Hawes are making their presence felt at the 2015 Mixed Doubles Curling Trials in Ottawa. 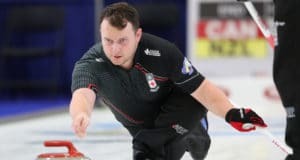 Fresh off impressive performances at the Canada Winter Games in Prince George, B.C., a few weeks ago, Tardi and Hawes defeated a pre-event favourite, Scott McDonald and Kaitlyn Romain (ON), 9-8 in the early morning draw on Friday. Later in the day, they stole three ends on the way to a 7-3 victory over 2014 champions, Wayne and Kimberly Tuck, to climb to a 3-2 record and are now tied for second place with Adam Casey and Marie Christianson in Pool B standings. 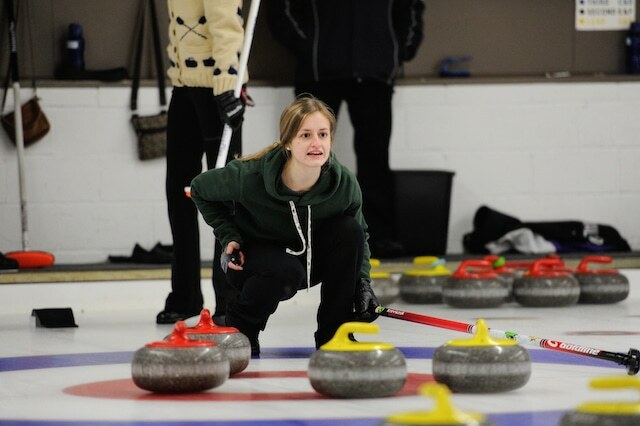 Tardi and Hawes are making their second appearance at the Mixed Doubles Curling Trials, having competed two years ago in Leduc. Last year’s silver medallists, Kalynn Park and Charley Thomas (AB) continue undefeated and lead Pool B standings with a 5-0 record. In Pool A, two Ontario-based teams – Glenn and Carly Howard, and Bowie Abbis-Mills and Tess Bobbie – sit undefeated at the top of the standings and will go head-to-head on Saturday morning at 10:30 a.m. EDT. Matt and Brigitte Yeo of Saskatchewan are tied with Ontario’s Lynn Kreviazuk and David Mathers for top spot in Pool D with 4-1 records. In Pool C, Scott Brandon and Katelyn Wasylkiw (4-1) sit just ahead of Patrick Janssen and Clancy Grandy (4-2). Twelve of the 32 competing teams will move to playoffs following the round-robin pool play. The winners of each pool receive a bye to the quarter-finals with the remaining eight teams playing a preliminary game to get to the quarters. 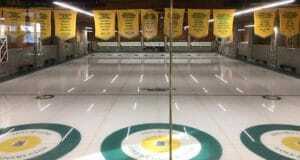 The 32 teams are divided into four pools of eight teams competing in individual round robins. Twelve teams will advance to the playoff rounds, with the finals on Sunday, March 15 at 5:30 p.m. ET. 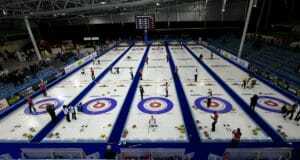 The championship team will advance to the World Mixed Doubles in Sochi Russia, being held April 18-25. For the full list of competitors, click here. And for the full schedule, click here. To check the scoreboard, click here.